Whole shrimp are comparatively inexpensive to your frozen ones and so so fresh. Pour 2 cups water and vinegar into a double boiler and bring to a boil. Add shrimp and mustard seed and steam for 6 minutes. Remove from pot and serve immediately with cocktail sauce. If you prefer them chilled as a cocktail , place in refrigerator for at least 30 minutes. 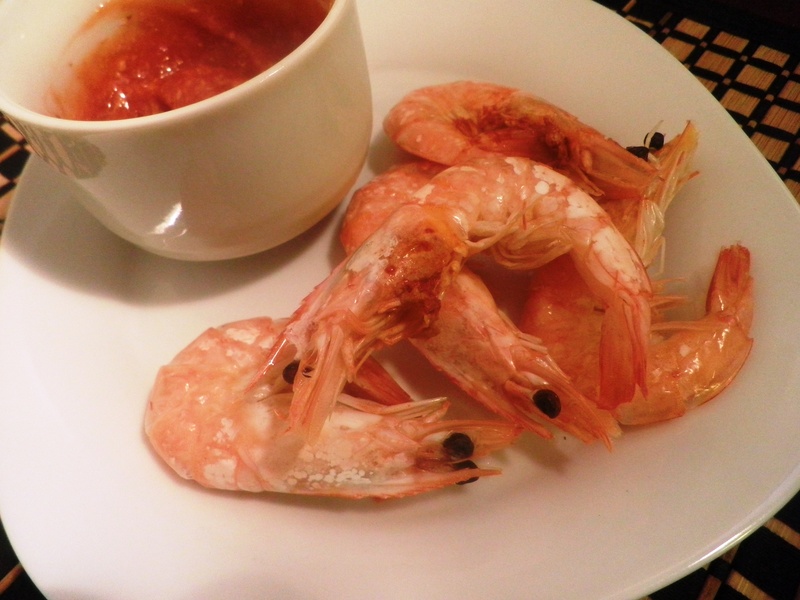 Mix together ketchup and horseradish and serve with shrimp. It’s too hot to cook a huge meal in the house so bring on the grill. Shrimp over a cold salad has always been a favorite. Grilled with these beautiful flavors steps it up a notch. Hope you try and enjoy! Prepare salad and refrigerate. Combine dressings and mix well. Pat shrimp dry with a paper towel and spray with Pam. Season with salt and lemon pepper on both sides. Place shrimp on skewers. Grill for 3 minutes per side. 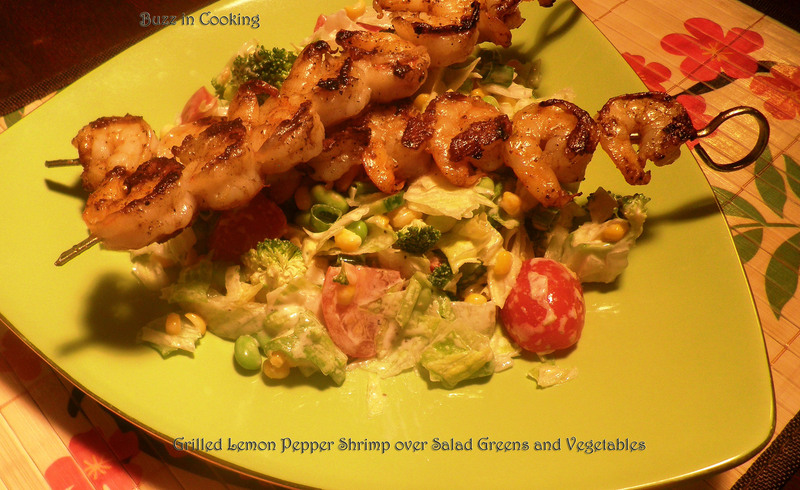 Toss the salad with dressing and top with grilled shrimp. Enjoy!